There is very little that makes me happier than the temperatures rising and the sun shining. Summer is one million percent my favourite time of year as I love everything from the clothes to the freedom. Below is an outfit featuring one of my favourite summer skirts ever. For the life of me I can't remember where it's from but I know I got it in a sale for only £3.50! It's also a pretty good match for this top (despite it being red haha) and these huge sunglasses. What's you're favourite thing about summer? Do you have any special summer clothes that are starting to make an appearance again? 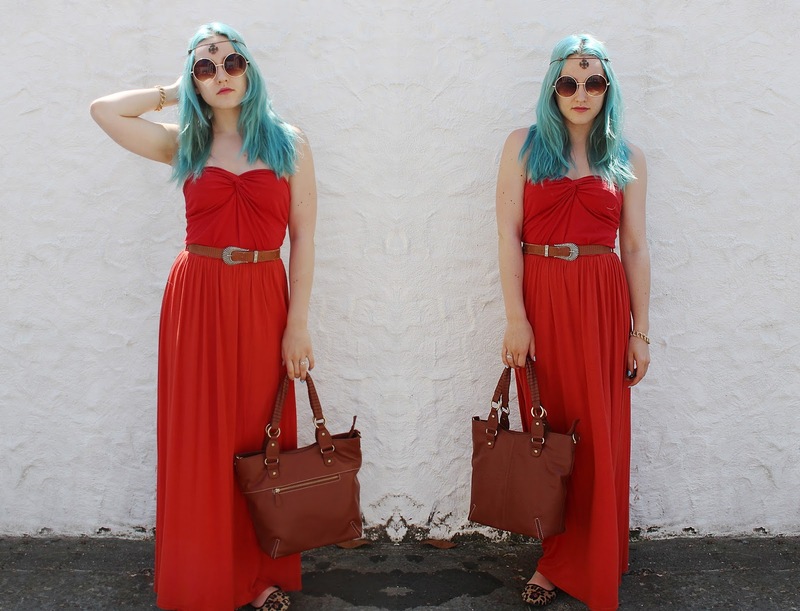 That maxi dress is just perfect, it a great colour for you as well, clashes with your beautiful blue hair! 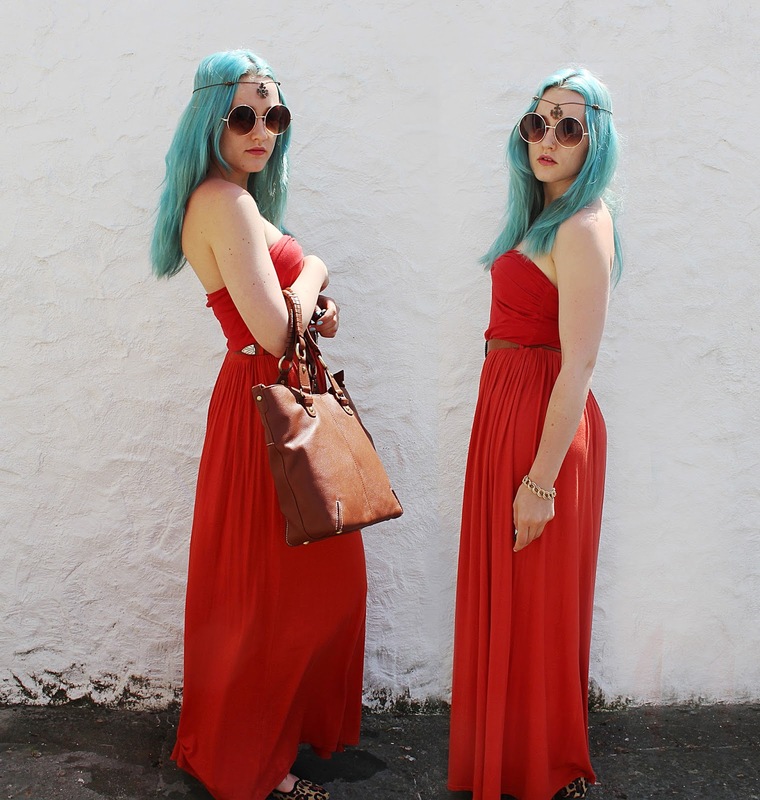 Lovely outfit, the coral red looks wonderful with your amazing hair colour, especially for summer! 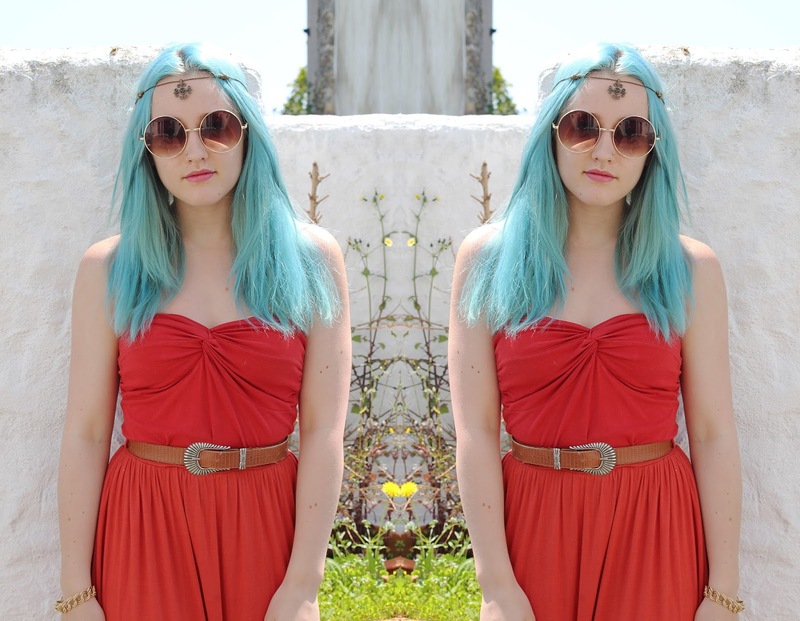 You look so cool, i love your blog & all your accessories! So cute! I love the red dress with your hair!